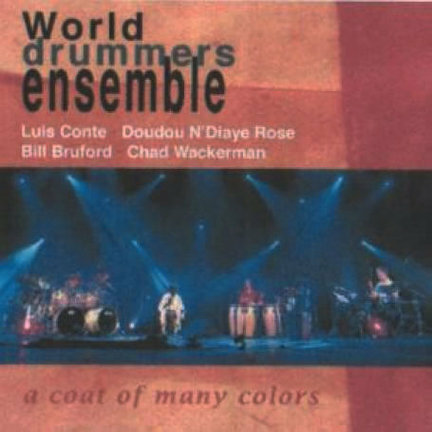 Similar in some respects to Mickey Hart’s Planet Drum, former King Crimson drummer Bill Bruford has assembled his own all-star international percussion group to explore the interconnectedness of world rhythms. Bruford mans a full drum set and is joined by fellow traps drummer Chad Wackerman, West African griot Doudou N’Diaye Rose and Afro-Cuban percussion master Luis Conte. Together they groove relentlessly and emphatically on eight highly orchestrated pieces before live audiences at the Koninklijk Theatre in Amsterdam and the Palais des Beaux-Arts in Brussels. This DualDisc comes with a 15-minute video that documents the ensemble in concert.